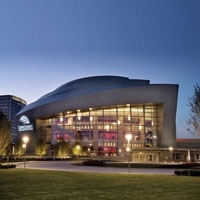 Headed to the Cobb Energy Performing Arts Centre for a show or a concert? Located only 1.2 miles from the Energy Centre, SOHO Atlanta Restaurant is the perfect stop for drinks or dinner before – or after – a performance. This spring, SOHO is also offering a pre-fixe theater menu. Guests can enjoy an appetizer, entrée and dessert for $28. Interested in trying SOHO’s theater menu? Reservations can be made by clicking here. Please mention “theater menu” when making reservation. See you soon!